Wal-Mart's second-quarter earnings and revenue rose. Wal-Mart Stores, the world's largest retailer, reported higher second-quarter earnings and revenue Thursday, and raised its forecast for the remainder of its fiscal year. Wal-Mart (WMT) said earnings from operations in the quarter ended July 31 rose to $1.18 a diluted share, an 8% increase from $1.09 a year earlier. The retailer was forecast to post earnings of $1.17 a share, according to Briefing.com. But while the company's revenue rose 4.5%, it missed expectations. Wal-Mart reported total revenue of $114 billion, below the $115.8 billion consensus forecast. The company cited strong international sales and a boost from its membership-only warehouse retailer Sam's Club for its earnings increase. It also raised its earnings outlook for the rest of the fiscal year to between $4.83 and $4.93 a share. The previous forecast called for a range of $4.72 to $4.92. Wal-Mart CEO Mike Duke said weakness in the U.S. and global economy is an opportunity for the retailer known for its cut-rate pricing. "Given continuing economic pressures, we believe that our price leadership and value are growing in importance to customers across income levels," Duke said in a company statement. When Walmart comes to town, home prices go ... up? The 6.4% sales increase from Wal-Mart International comes as welcome news for the company, which has come under fire for alleged corrupt business practices this year. The company is being investigated for allegations that Eduardo Castro-Wright, the former CEO of Wal-Mart de Mexico and former head of Wal-Mart U.S., orchestrated $24 million worth of alleged bribes in Mexico to streamline construction projects dating from 2005. Wal-Mart's sales have remained strong, even as retail sales dragged for much of the spring and into the summer before ticking up in July. Analysts say that the company bucked the trend because of its reputation for offering deep discounts and competitive prices. 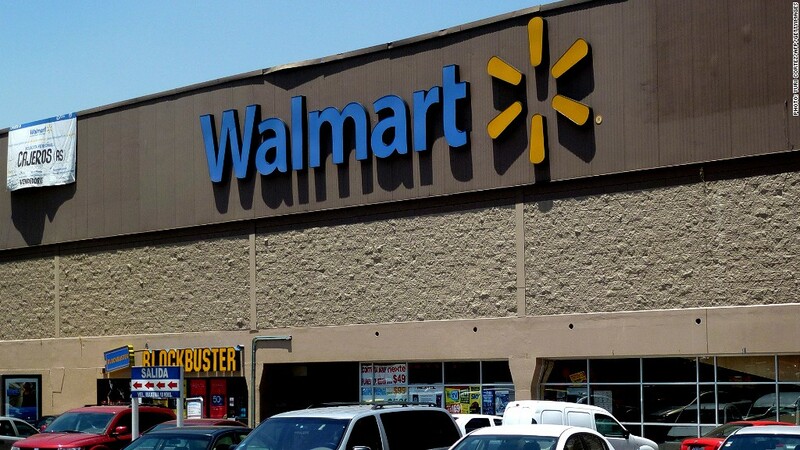 "Relative to other retailers, Wal-Mart has been more effectively able to attract consumers by adding lower price points," said John Tomlinson, retail analyst at ITG Investment Research. "They reformatted to have a better product assortment and lower prices as consumers are ever searching for value in this economy." Stock in Wal-Mart, whose rivals include Target (TGT) and JCPenney (JCP), fell more than 3% in afternoon trading.